Happy New Year! I’m more excited about starting 2018 than I have been at the beginning of the last several years. While I ended the year on a good note, 2017 was a rough one. The year held some unexpected tough situations over which I had little or no control. For 2017, my word of the year was RENEW. I went into the year hoping/planning for RENEW to be more about rest and rejuvenation. The reality ended up being a lot more about making a conscious choice to shift my MINDSET. Looking ahead to 2018, my husband Charles and I came up with a joint word of the year that we each feel really good about personally, as a family, professionally and generally across all areas of life. As we were discussing what our word should be, the immediate consensus was that it should be something around putting ourselves out there, trying new things and growing. We both have a tendency to play it safe, but looking back, our greatest areas of growth came from the times we took risks. We want to take more risks, not by abandoning logic, but considering when it makes sense to take a calculated jump or a leap of faith. As we considered words and phrases, we brainstormed a lot of words like dream, growth, skills, grit, challenges, adventure, resilience, get comfortable being uncomfortable, sharing, and presence. We (finally) landed on EXPLORE. I recently ran across this quote that was theme of a freshmen orientation while I was in college. It’s now so much more meaningful (and true!) now than it was at 18, which was a full half my life ago now. Where does the time go?! At a macro level, we’re using the theme of EXPLORE as the lens to view everything that comes across our paths in 2018. We’ll ask, “Does this (whatever this is) help me EXPLORE or not?” If yes, go for it! If not, ditch it. I love that EXPLORE can take on many nuanced meanings depending on the lens or area of life it’s being applied to. 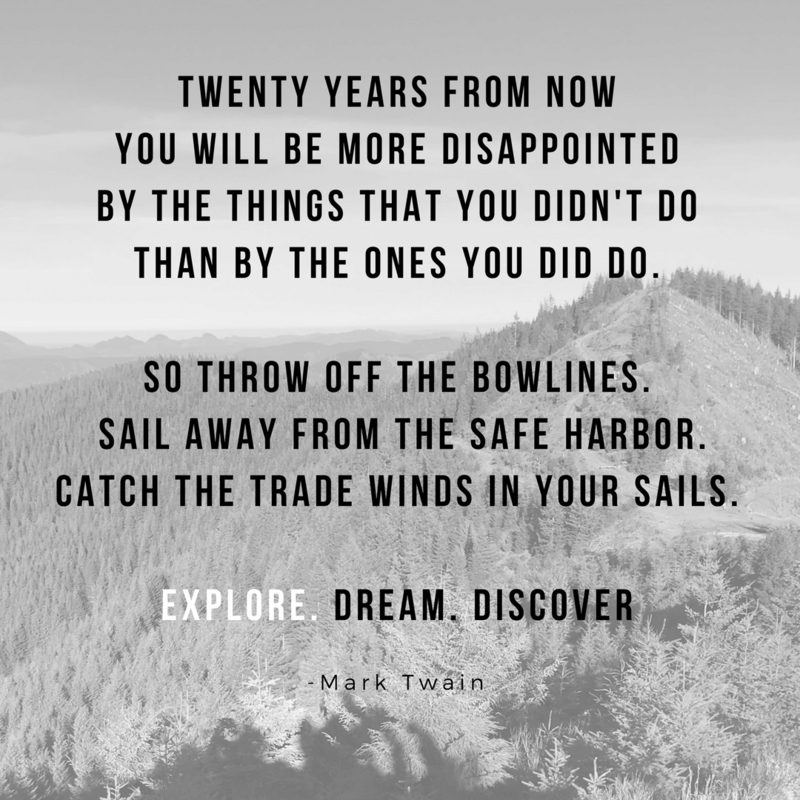 EXPLORE… getting out of ruts. EXPLORE… more analog and less digital. EXPLORE… lower stress and more emotional space. EXPLORE… more adventure, more tinkering. 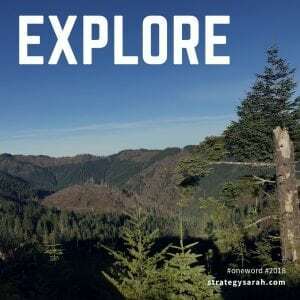 EXPLORE… putting myself out there more. Not to mention, the boys love exploring more than anything. The eyes of a four year old and a six year old remind us that exploring doesn’t need to be a massive undertaking. Exploring can be as simple as stopping to pick up and examine the frozen leaf on the sidewalk or discovering that that ledge makes a great table. What does EXPLORE mean in terms of actual goals? We are taking a quarterly (or 12 Week Year) approach to allow for flexibility since we all know how quickly life can change. All quarterly goals still ladder up to the theme of EXPLORE! Read 12 books, including at least 6 non-fiction. This goal is actually reading less than prior years with an intent to be more mindful of what I’m reading and to consider if reading is the best way I can EXPLORE at a given point in time. Daily Instagram posts. As an introvert and INTJ, it’s entirely too easy to have a 90% finished graveyard of content that’s not quite published. Posting daily to Instagram is a way to both focus on EXPLORE daily as well as put myself out there and share more. A trip to Arizona this month for a friend’s book launch and annual non-profit board meeting. One family weekend trip. We’re thinking Bend, but may change our minds. At least three day trips out in the Land Rover. Trip #1 was January 1, so we’re well on track there! Get passports! Mine is up for renewal, and the boys don’t have them. Prioritize twice weekly at-home date nights, as well as one date-night-out per month. Continue our a standing monthly group date with our neighbors. We started this last year with two of our neighbors, and it’s fantastic! We have an amazing babysitter who watches all the kids at one house. Since the kids are all at once house, we often do dinner and game night at one of the other houses, which makes it a cheap evening and still a lot of fun. Have people over more often. We have great intentions here, but the reality of our schedules (plus two introverts!) means that it doesn’t happen nearly as often as we’d like. We haven’t set a specific frequency goal, but hope to figure out what makes sense at this stage of life. Financially, EXPLORE means that we’re shifting our focus from frugality and debt reduction/elimination to increasing our net worth. I’m very risk averse financially, but can also see where I’ve spent so much time being frugal that it’s at the detriment of living life. By focusing on increasing our net worth, we will put emphasis both on paying down debt (we’ve got auto loans + a mortgage) and investing in growth opportunities. Do a January spending freeze on all non-essential items. Review our overall budget and roughly map out big projects, purchases, savings and investments for the rest of the year. 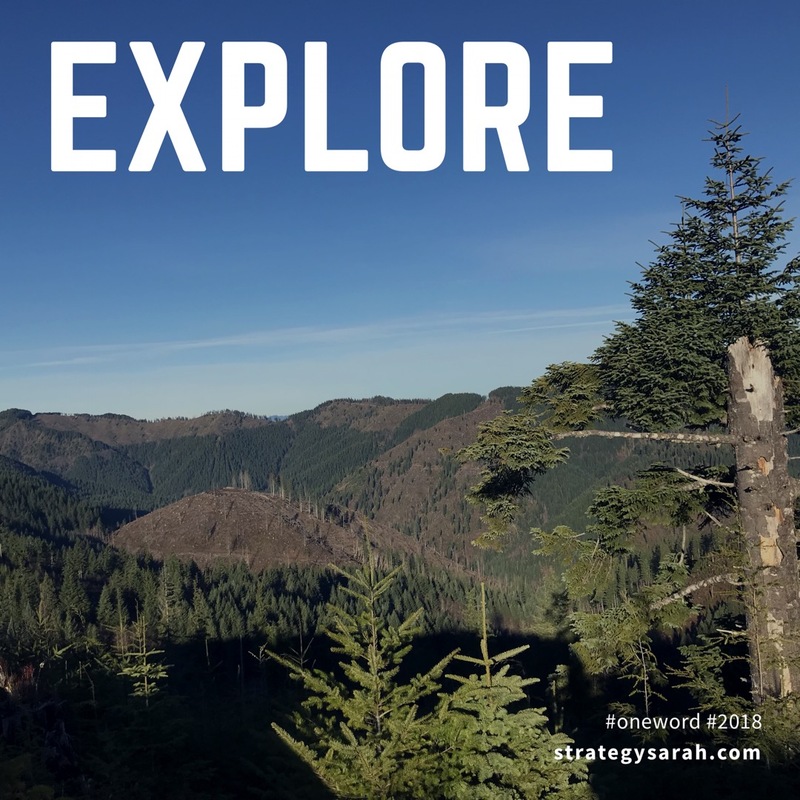 The lens of EXPLORE gives me a reason to focus on my health and weight loss: I know that I’ll be able to physically do a lot more exploring and adventures if I’m healthier. Q1 health goal: to lose 3lbs per month. I’ll achieve this goal by doing one week per month on a no-sugar, low-carb diet and limiting sugar and carb intake the other weeks of the month. Sugar is my enemy! From a career standpoint, EXPLORE is mostly about being comfortable in my own skin and putting myself out there. My personality type has the blessing and curse of always seeing what’s still left to be done or could be improved upon. This has led to me holding back at various points over the years, both intentionally and unintentionally. 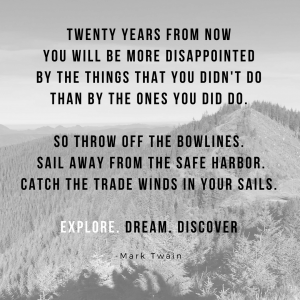 That has no place in the year of EXPLORE! Q1’s career & business goals are mostly around figuring out exactly how and where I want to be spending my time and then planning accordingly. 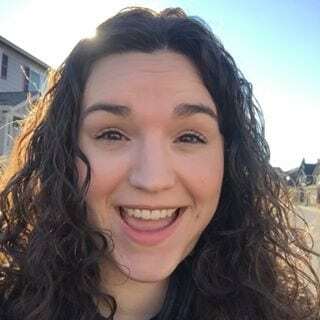 I’m currently feeling a bit stretched thin across my day job, blogging, volunteer roles and working with my husband on some business ideas he has. In order to be successful at any of it, I need to make some tough choices to focus and streamline. For all goals, done is better than perfect. I am excited to take an approach that’s all about exploration rather than driven by perfectionism. How are your goals looking this year?